Decision Makers is about teaching economics. The Decision Makers Simulator is based upon micro and macro economic models as they are taught in the under graduate setting. 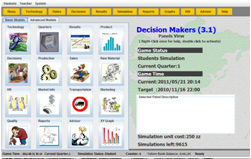 Using the Decision Makers Simulator and the assignments, enable students to practice demand estimation, production optimizing, human resource management and finance. Each firm in the simulation has two production lines. 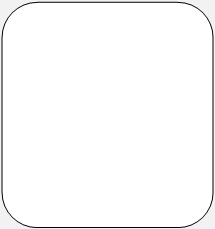 Each line may use different technologies for production. 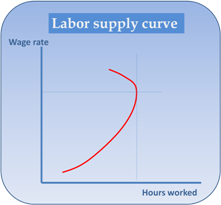 Technologies may be a combination of labor intensive, capital intensive or a mix and low, medium or highly automated. Each technology type requires a different amount of human resource and level of staff person skill. 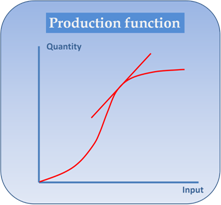 The managers of the firm are required to allocate resources to the production lines according to the marginal productivity principle. Production of both products requires raw materials. Raw materials may be purchased from three different suppliers. The frequency and size of orders define the cost of raw material. As part of the managerial activities, a raw materials ordering policy should be set. 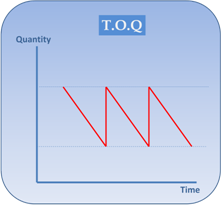 The theoretical model behind the calculation of costs of ordering raw materials is based on the E.O.Q model. 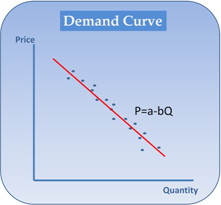 In order to set the best price for each product in each region the managers of the firm need an accurate estimation of the demand curve. This estimation can be obtained by running a linear regression on historical data (or simulated data). The regression should take into account the quality of the product and its seasonality. Once such regression has been estimated, the elasticity of demand can be used in order to set the price yielding the highest profit in each region. Production machines in the simulation age based upon the production capacity. 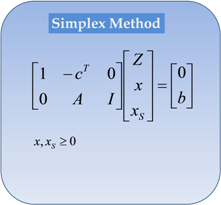 Deprecation is calculated using a linear approach. The firm must decide its policy of Return on Investment Capital. The options may include investment in machine maintenance each quarter or replacing the production machines after a certain number of quarters. Marketing products in The Green State requires transportation of these products from the production facility to each of the regions of The Green State. In the short term, transportation is limited due to the contract the firm has with the transportation companies. Once a year this contract can be modified. 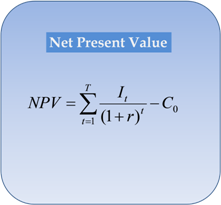 In order to minimize the transportation cost a linear programming model can be used. Production technology as well as the characteristics of the products and their suitability to customers' needs may be improved over time by investing in R&D. The simulation offers a number of options for R&D investment. 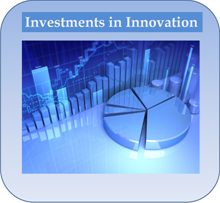 The ROI of each investment may be examined using common financial approach such as Internal ROI or NPV. 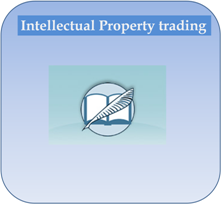 Once R&D investment has produced a patent, the patent can be traded as intellectual property. Patents may yield exclusive rights that prohibit other firms from using the same innovation. Patents may also be licensed to other firms. Trading is performed using an on line mechanism. The firm may hire sale agents in order to promote its sales. Sale agents are hired on a contract which includes fixed payment and bonuses based upon actual sales. The simulation assumes that the sales agents are risk averse. 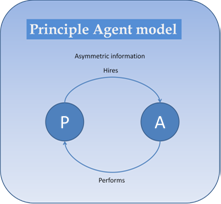 Selecting the optimal contact for sales agents requires solvingthe principle-agent model. The firm in The Green State may use several marketing channels. This includes newspapers and TV. Not all channels are efficient in all regions. 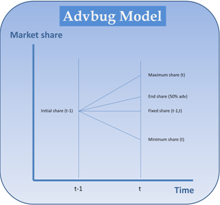 The effectiveness is discovered by applying the ADBUDG model to the policy of investment in marketing. Products are characterized by both their price and quality. Quality is based on four basic characteristics (shelf life, efficiency, specific gravity and environmental affects). In each market customers have different preferences. 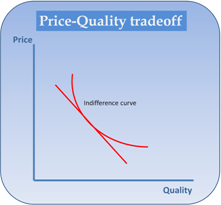 The higher quality the product, the higher is the price customers are willing to pay. Firms in The Green State produce pollution as by-product of the manufacturing process.Pollution has aa accumulative effect by decreasing production. 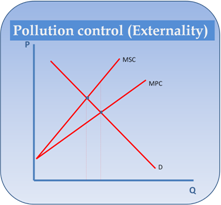 Over time pollution control is needed in order to decrease the damage caused by Manufaturing. Firms are forced to selected between paying a pollution tax and decreasing pollution in the manufacturing process. Firms in The Green State may invest their profits in the stock market of The Green State. 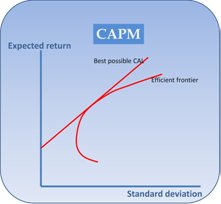 The investment efficiency can be evaluated using the CAPM model.